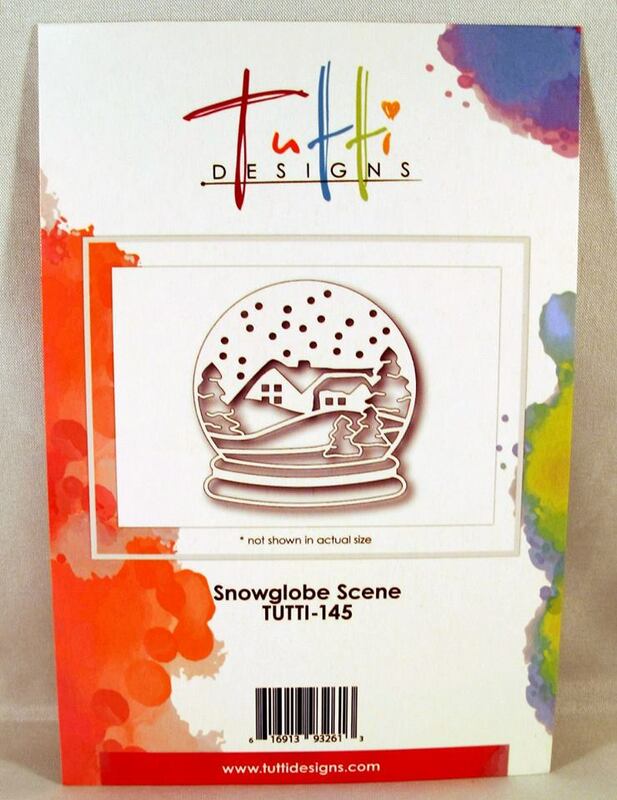 Tutti Designs: Snow Globe Scene. Hello everyone Pam Simpson with you to-day on Tutti Designs Blog..as it`s Wednesday! August already where did July go!!! This die cuts as the picture, I have pieced the die cuts back into the globe shape. after I cut a circle shape in dark blue as a backer. I have coloured these pieces with distress markers, then using pva glue I added lines to create snow, while still wet applied "Twinklets Diamond Dust"
The bottom of the Globe I cut a silver frame, pieced dark blue into this, next using "Glossy Accents" on the blue to create a glass look, sorry it does not show up in the photo.. This embossed background was a free embossing folder from a magazine. It has a circle shape in the centre, I die cut a dark blue card circle shape. Finished with red ribbon, leaves from my stash and berries..
Hope this has given you an idea how to use this wonderful Snow Globe Scene, would look beautiful in traditional Christmas colours. Thank you for stopping by Pam x. 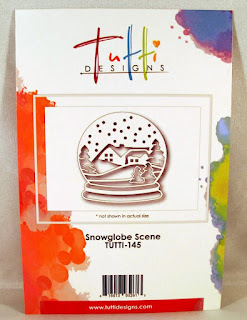 Morning Pam, This card is stunning, I love the snowglobe die and your colouring is gorgeous and the 'piece de resistance' is the diamond dust for snow, really gorgeous ! !